Product prices and availability are accurate as of 2019-04-05 13:14:35 EDT and are subject to change. Any price and availability information displayed on http://www.amazon.com/ at the time of purchase will apply to the purchase of this product. 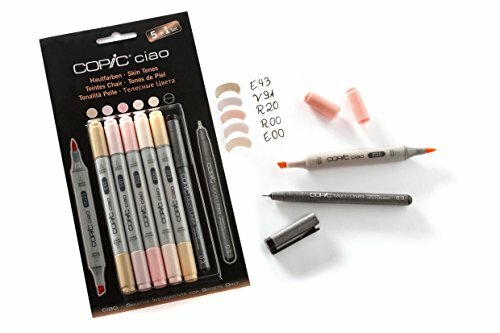 The Copic Ciao is the affordable marker for beginners, students and hobby artists. Equipped with both a medium broad and a super brush nib, Copic Ciao markers are available in 143 colour shades and one colourless blender. The colours can be mixed on the surface or layered over each other. 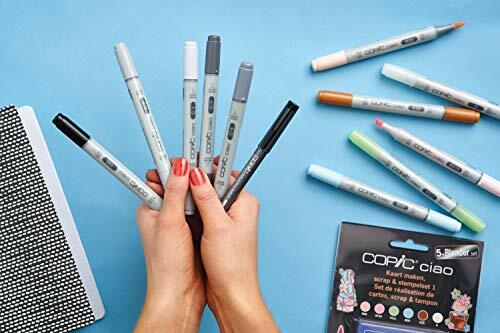 Copic Ciao markers are alcohol based, non-toxic and fast drying. 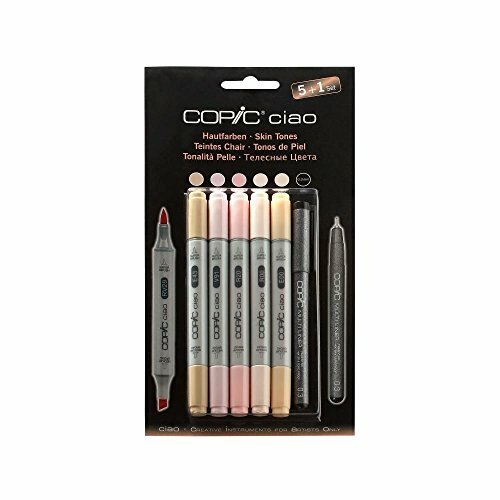 These great value sets each include 5 carefully chosen colours, plus a Copic Multiliner 0.3mm fineliner pen for those all important outlines and details. 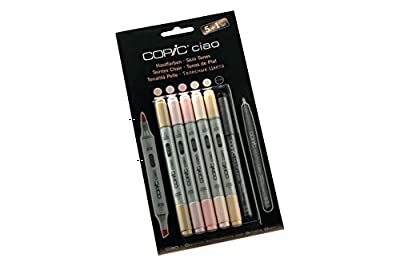 The Multiliner was specially developed for sketching, and when over-drawing with COPIC Markers the tracing line remains sharp and does not bleed. Manga 1: Y15, V06,B24, G17, E11. Manga 2: E21, B45, BG49, B05, R59. Manga 3 E71, E51, V12, RV34, G02. 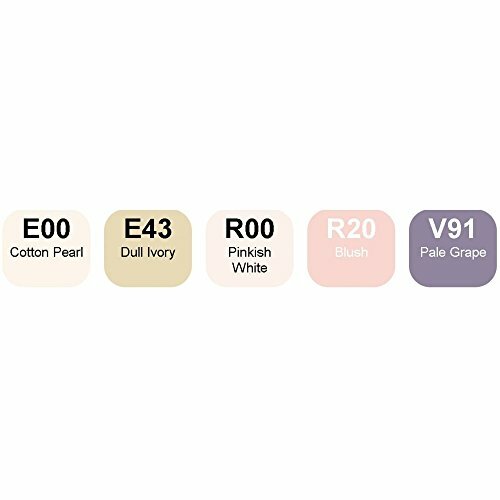 Skin Tones: E93, V91, R20, R00, E00. Brights: Y06, R27, B05, G05, 100. Hues: B39, R35, Y17, G17, E35. Greys: C1, C3, C5, C7 100. Pastels: Y21, B60, G000, RV13, E95.